This is a beautiful photograph of the Domino Sugars building. 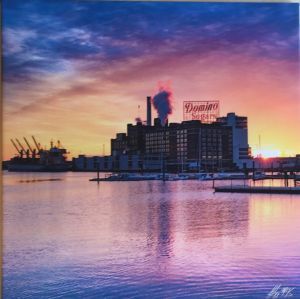 It measures 24"x 24" and is stretched on canvas taken by local photographer Gregory McKay. It is a limited edition piece. Please note this piece cannot be shipped. It must be picked up at 2910 on the Square.